As you’ve already learnt in the previous blog entries in our “Colourful PPE” series, colours influence us in many different ways – even our spending behaviour, for example: a study has shown that the use of colour can increase the recognition value of a brand by up to 80 per cent. For this reason, for many companies it’s important to present themselves with a uniform appearance in the appropriate colours. In addition to logo, website and company cars, this often also involves work clothing. For employees on construction sites, in industry and in many other areas, their affiliation with the company should be instantly visible. We have corporate fashion at uvex, too – we mainly use the colours orange, blue, turquoise and grey – and of course we offer this for our customers, too: if this is something you’re interested in, contact our colleagues directly at corporatefashion@uvex.de. Even if you ‘only’ want an embroidered logo or emblem, we’ll be happy to help you. Clothing in company colours – as demonstrated here by our colleagues at uvex Australia – ensures a uniform overall appearance, a strong feeling of togetherness and high recognition value. 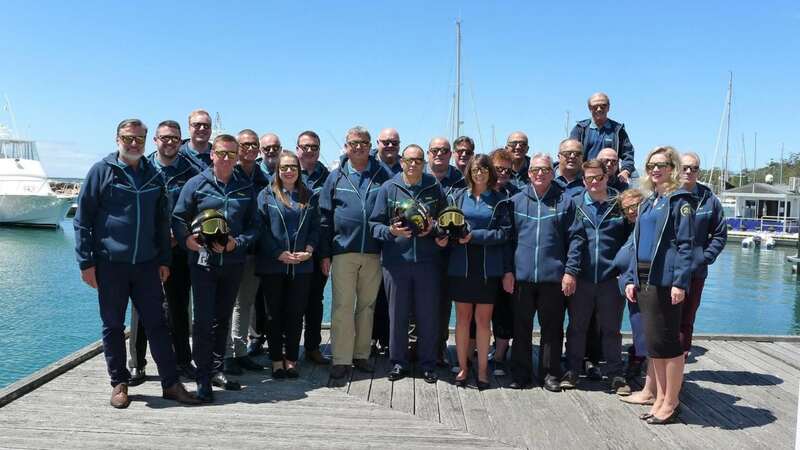 Textiles in company colours are only one aspect, however – we will also personalise safety spectacles for you, for example. In our online configurator you can easily try this out without obligation. 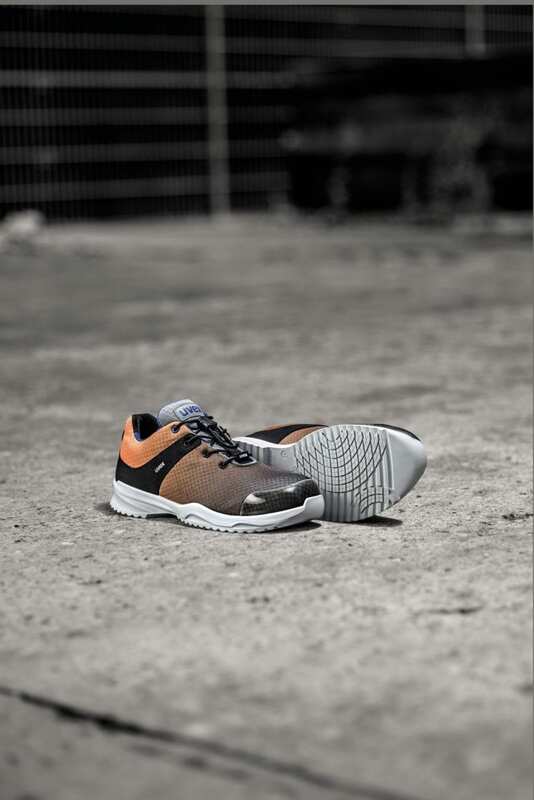 The uvex sportsline brings colour and sportiness to the workplace. Where previously the focus was only on protection, today it’s increasingly important to employees that their PPE offers reliable protection and looks good. In times in which no real value was placed on the appearance of safety shoes, for example, they were most often simply black or grey – and the shoe itself looked more practical than attractive. In the last few years, however, there has been a rethink. The desire for more colour and sportier designs is rapidly growing. Safety shoes should at least have a few touches of colour, even if they’re not available in all the latest colour trends. 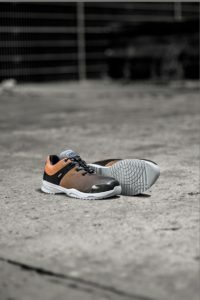 A glance at our uvex 1 range, the uvex sportsline or the uvex 1 sport shows that we have been paying more and more attention to these customer requirements (as well as to the increased calls for sportier safety shoes) for some time now. Our textiles are also increasingly falling ‘victim’ to the colour trend: From touches of colour to fashion colours such as petrol blue or orange, our range has developed considerably in recent years. 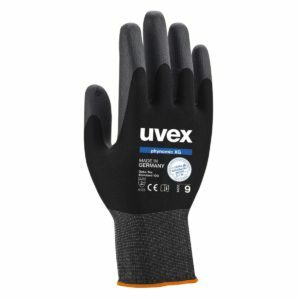 Particularly strong and bright colours are also used for uvex safety gloves – and are very popular, especially with customers bored by traditional PPE colours. The uvex phynomic XG has been specially developed for oily environments. As you can see, many colours are simply a fashionable consideration in PPE – but in some cases, there are practical aspects, too. For example, colours may be specially selected at the product development stage, depending on where it will be used. In particularly oily environments such as assembly for example, dark colours are more suitable. Safety spectacles and gloves that are used here are often black or grey. Other places where PPE is used are very clean and hygienic, making very bright colours somewhat unsuitable. The uvex clean range offers safety spectacles especially for this in light blue and white. As you’ve seen in this post – but also in part 1 and part 2 of our series – there are many fashionable and even some practical relevance to colours in the PPE field. The influence that colours have on our work and our decisions is also an essential part of our everyday life. Remember this the next time you buy something (not just PPE) and think about the effect of the colours that accompany you throughout your day-to-day life.